Extreme Networks has moved to 144 Colemans Road Carrum Downs. It was with great excitement that we finally completed the move into our purpose built 520 sq meter building today in Carrum Downs..
To all of our customers, past, present and future – Thank You! To all of the members of Team Extreme, past, present and future – Thank You! To all of our advisors, partners and Vendors, past, present and future – Thank You! Tina and I had no idea that the little company we started in 1999 would grow to a team of 20 amazing people and to be helping so many awesome businesses both locally on the Mornington Peninsula and across the country. A big thank you to the moving team on Saturday, Justin, Kai, Rohan, Tina and Gina. Everything went very smoothly and everyone was able to work on Monday morning which was the main effort for the weekend. 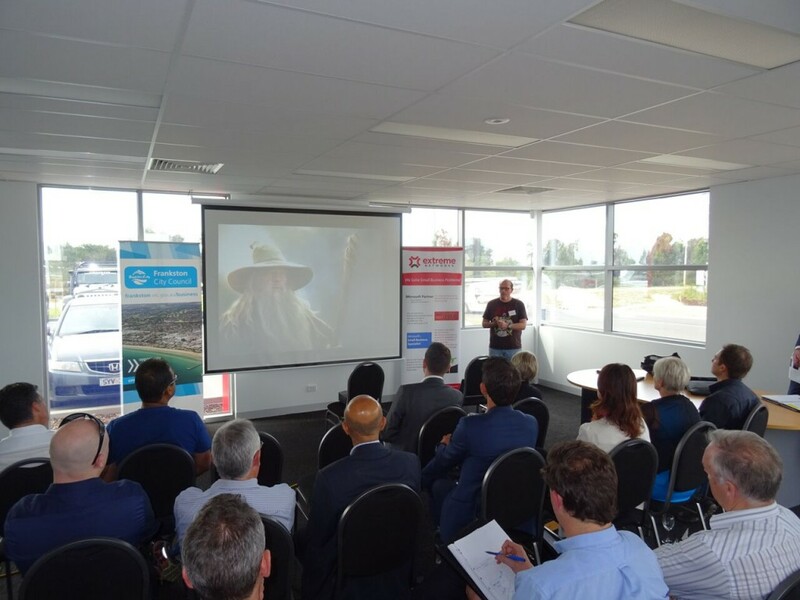 We look forward to meeting lots of new and exciting businesses in Carrum Downs, throughout the Mornington Peninsula and throughout the world as we continue to provide great IT Support to fast growing businesses along with marketing and strategic services for business owners wanting to grow even faster. We will also be continuing our export push for the online marketing solutions that we have developed. We have finally moved into our beautiful brand new purpose built office. If you are a business owner wanting to take your business online and need the help of a team with a wealth of experience in online business or if you are a business owner wanting an IT strategy that meets the needs of your business and your budget, please call 0397857162 and ask to speak to James. James presenting on 7 trends that will change Small Business forever. 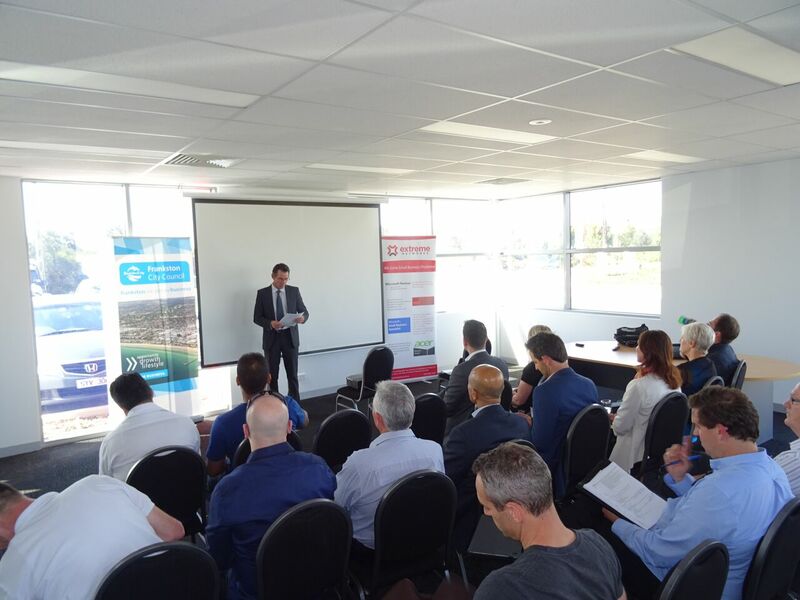 Frankston Mayor Cr James Dooley opens our inaugural event at the New Extreme Office. Our services covering Server and Network design, Help Desk and support along with Application and Web Development and online business growth strategy and exection services to help businesses respond to the rapidly changing opportunities and threats created by changes in Technology. Extreme Networks is recognised as an Industry Leader, having presented on online and social media marketing, IT Marketing and presenting at the SMBiT Professionals National Conference.